A stay in Ca' d'Alfieri will be in the sign of relax and of a "detox" experience from noise, traffic and always being "connected". Our goal is to offer the conditions for a regenerating "break". Nature helps us, our rooms are cosy and treated in detail and even in the kitchen we try to get the best from our products and to cook them in an original way. It should be enough? Probably yes for many, but for others doing and seeing are part of the ingredients to achieve total well-being. We are in a valley so beautiful and full of cues that it is a pity not to discover it. Suggestions are many and easily available on the websites of local tourist offices and associations operating in the area. We point out some unmissable hints. 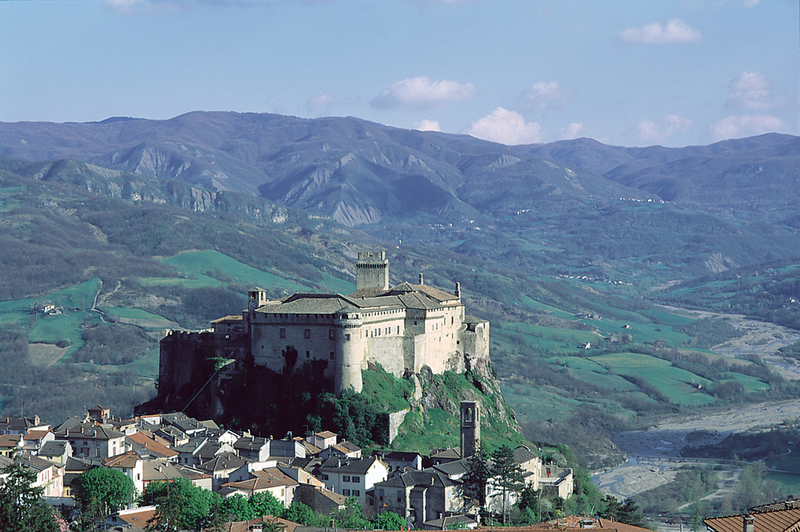 It is definitely worth a visit the small village of Bardi overlooked by the awesome Castle perched on a spike of Red Jasper and a walk along the narrow paved streets, the view of the Castle, the San Francesco's Oratory and the shops and restaurants that liven up the streets. In the main square, inside the Church of Santa Maria Addolorata there is a teen work by Parmigianino: "la Pala di Bardi" painted in tempera on a table (203 × 130 cm), datable to 1521. Unfortunately, it is often lent for temporary exhibitions and is not always shown. Bardi's downtown is 10 km from our farm. 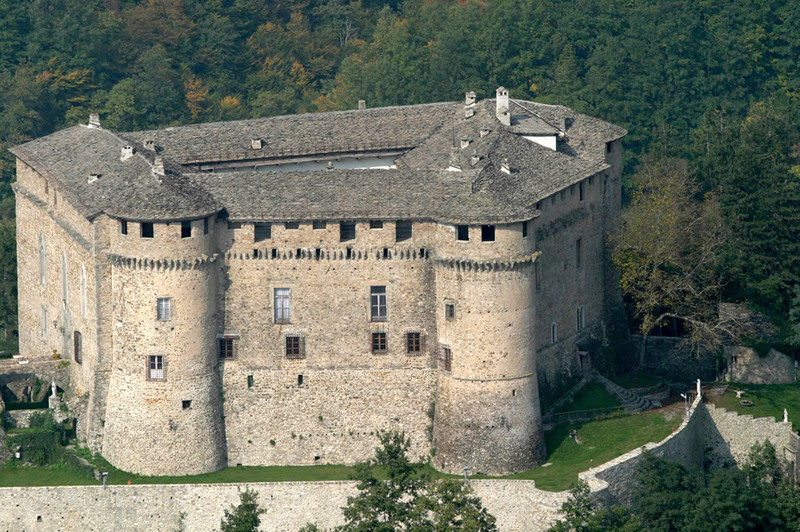 For those who love castles, we recommend a visit to the Compiano Castle, 30 km far from Ca 'd'Alfieri and 45 minutes by car. 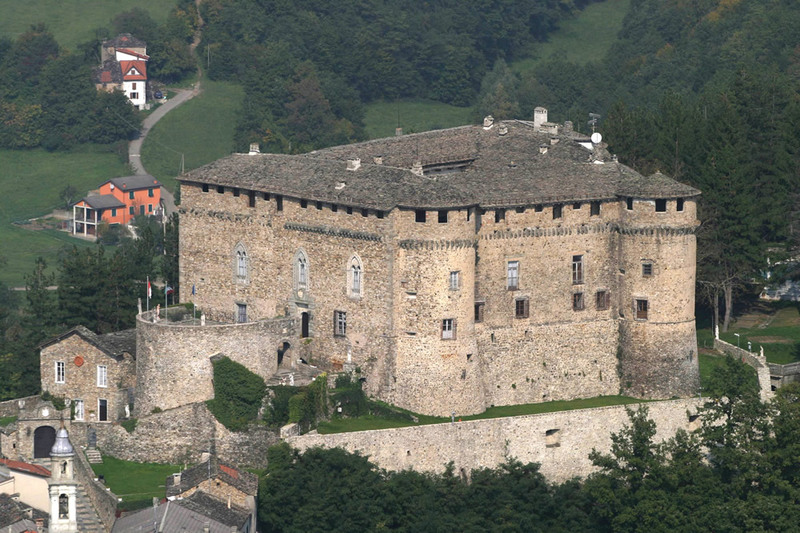 From the middle of the 13th century, and for over four centuries on, the Fortress of Bardi belonged to the Landi family, Renaissance princes who also minted coins on imperial license. 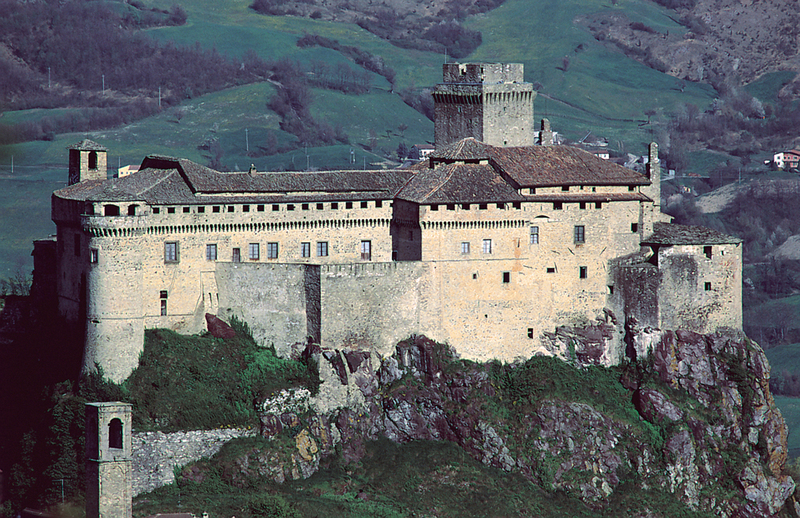 Around the end of the sixteenth century, the Fortress was partially transformed into an exclusive patrician residence. Places to visit include the patrol walkways, the towers, the parade ground, the arcade of honour, the well, the ice-house, the granaries, the prisons and the torture rooms. 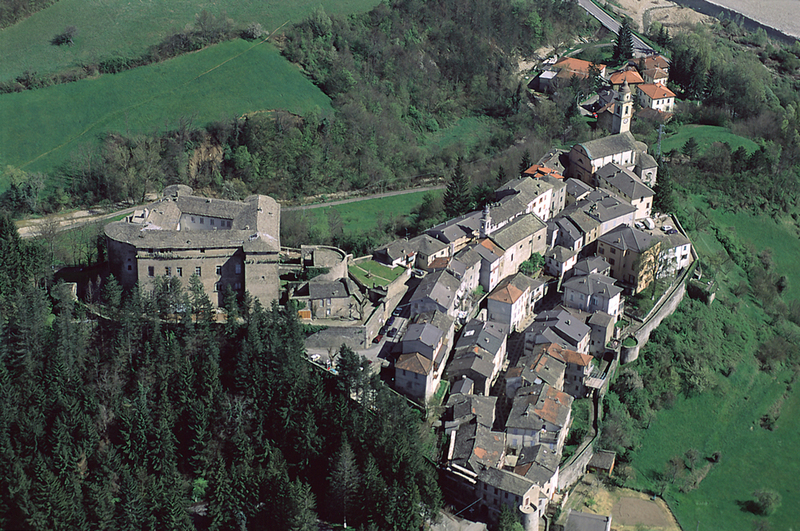 The former soldiers' quarters host the Museum of the "Valligiana Civilization". Inside the Bardi Fortress you can admire the recently restored Salone dei Principi and the new Museum of Fauna and Poaching. From the valley floor of the Alta Val Taro the gaze rises to a hill: Compiano with its ancient village, one of the most beautiful villages in Italy, which is located just above the castle. 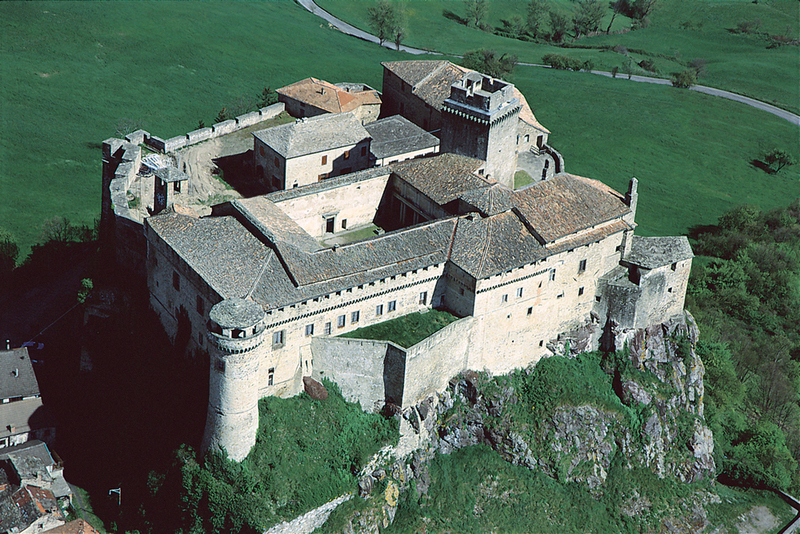 A mighty castle, with 3 circular towers in Piacenza style and an older squared off tower, which housed the prisons. The impact is exciting: the entrance arches, the garden and the walls, the sculptures, the ravelin where to enjoy the view of the Apennines. 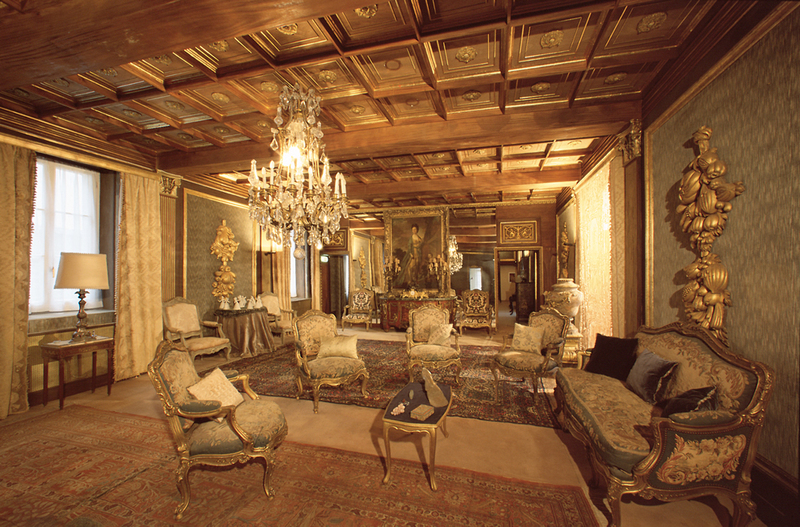 The guided tour includes the Marchesa Gambarotta's furnished rooms: the library, the Collegio chapel, the study, the bedroom, up to the fascinating salons dedicated to the East and Music. The itinerary then arrives at the International Masonic Museum: unique in Italy, with a rich collection of objects from the Anglo-Saxon Freemasonry of the last 300 years: vestments, valuables, and even the reconstruction of a Masonic temple. 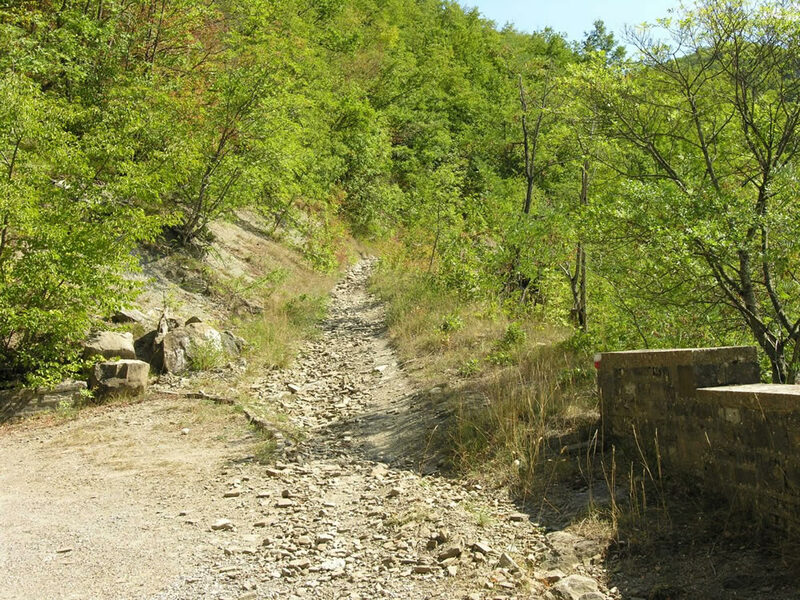 In Val Noveglia there are more paths than roads! 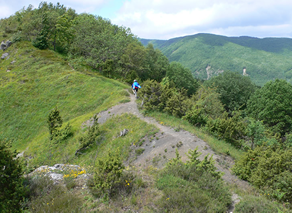 Most of them have been marked and mapped by the CAI and by the associations of local excursion guides, others are known and frequented mostly by the locals: footpaths to do on foot, by mountain-bike and some roads also by motorbike. We point out two that are particularly close to our hearts: the "Via degli Abati" because of the historical importance of the route, and another path recently found and partly restored by us, which is a circular route that starts from our farm. 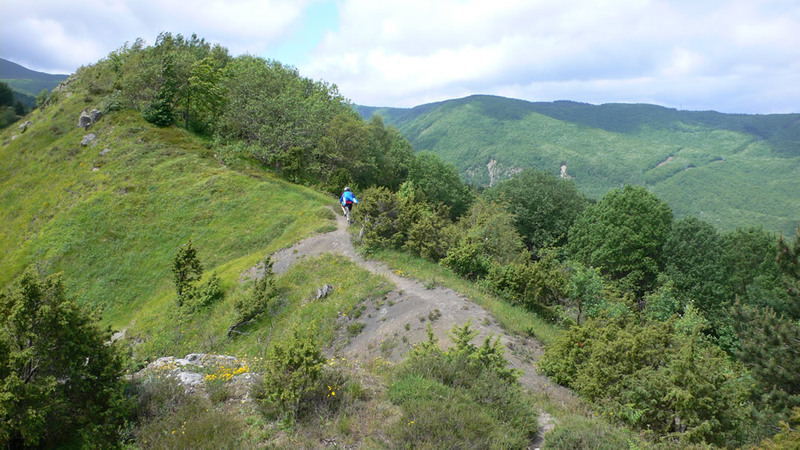 A journey from Pavia to Pontremoli in the Abbots' footsteps of San Colombano, from the Po Valley, crossing the Piacenza and Parma Apennines that arrives in Lunigiana, deep in the silence of the woods and plotted on ancient sheep tracks. 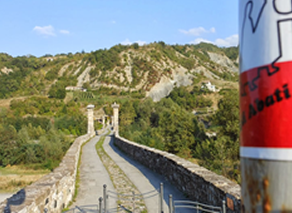 The "Via degli Abati" is a journey through the mountains, used since the 7th century by the Lombard kings who, starting from Pavia and passing through Bobbio, traveled through it to reach Rome and their possessions of central Italy. It is a rich area as for historical and religious testimonies, as well as semi-abandoned villages and uncontaminated nature with breathtaking views. Our farm, associated with the Via degli Abati, is only 500 meters from the path and is reachable by making a short detour. We offer 10% discount on overnight stays and dinner for the passing pilgrims. 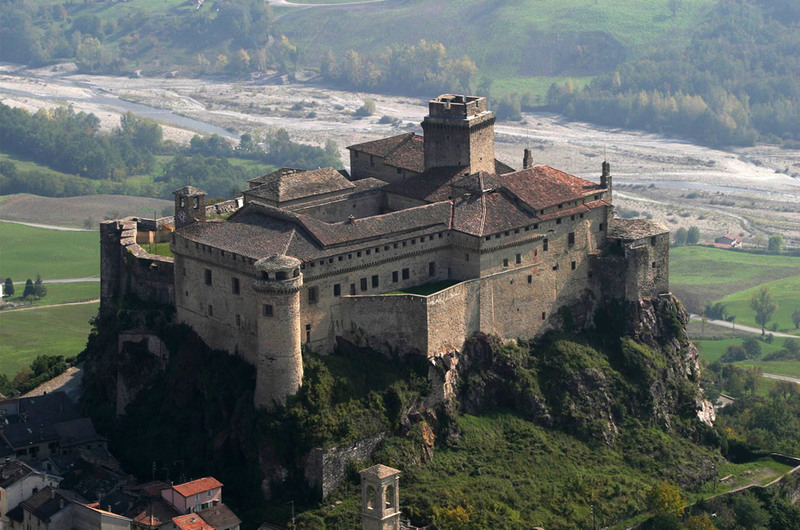 We also offer a free shuttle service from Bardi to Ca 'd'Alfieri. For this service a reservation is required in advance by calling Luisa at 347 8927775. For further information and details on itineraries, stages, welcoming activity and refreshment points see the website https://www.viadegliabati.com/. 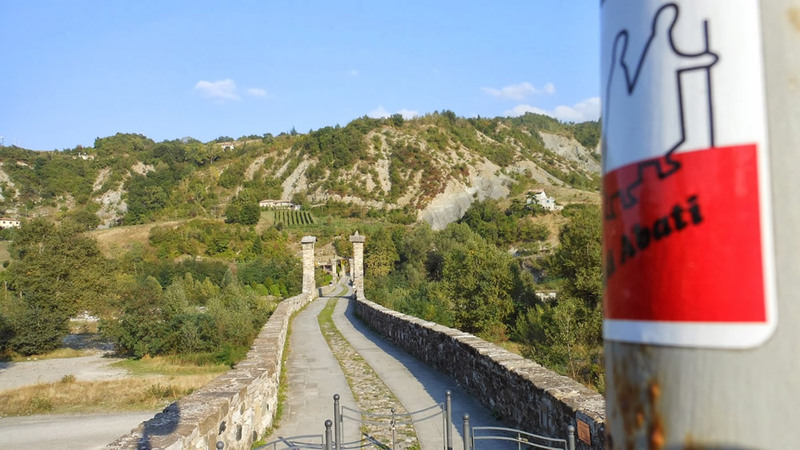 It is a ring route that leaves from and returns to Ca 'd'Alfieri and allows you to see more than one valley simultaneously from the terrace of Pizzo d'Oca: Val Noveglia, Val Ceno and the thousand-year old Fortress of Bardi. 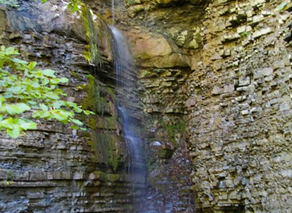 It is a beautiful ring route that starts from the Agriturismo Ca 'd'Alfieri, crosses many times the Via degli Abati, the Hippopotamus of the Apennines, several CAI paths and then directly comes back to Ca' d'Alfieri. 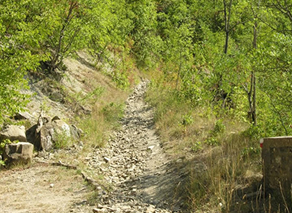 These paths represent two ancient roads that connect up small towns of the valley which have been now cleaned and reopened in order to offer visitors a nice hike among secular chestnut woods, turkey oak woods, stone-handfacts, paved streets and dry stone walls. Just climb to 1000 meters up and look over the sandstone slab of Pizzo d'Oca and you will enjoy a spectacular 360 ° view of the Val Noveglia, the Val Ceno and the Fortress of Bardi. For further details see here..
We will try to respond to your requests as quickly as possible.